We've compiled extensive reading sites! Have you ever read a book written in Japanese? Surely, many learners "want to read, but find it too tedious to look up all those words in the dictionary," or "can't seem to be able to read to the end." For those of you who wish there were easier reading materials and want to read more books, let us introduce extensive reading sites that post many reading materials at the beginner and intermediate levels of Japanese. 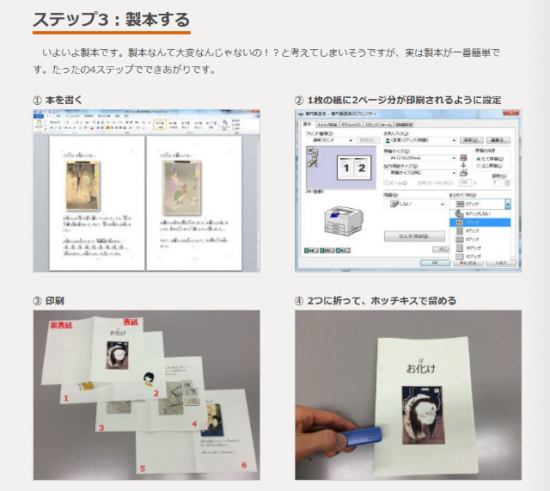 KC Yom Yom is a library for extensive Japanese reading at the introductory, beginner, and beginner-intermediate levels (A1, A2, A2/B1) created by the Japan Foundation Japanese-Language Institute, Kansai (KC). There are many books about Japanese life and culture, with a focus on topics related to the Kansai area. The writings and pictures use Kansai's unique comedy touch, making reading lots of fun. Even if you are not confident about reading, don't worry. All of the A1 level books come with audio. Start off with the audio and as you get used to it, try reading without it. The books are divided into levels based on grammar and vocabulary in "Marugoto Japanese Language and Culture" and are all downloadable or printable. Use the link within the site to see how to bind books, to easily make your own. Try your hand at creating your favorite book. There are so many great readings, I can't choose! 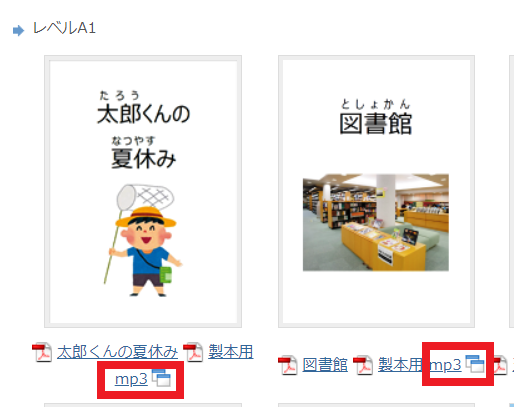 This site collects copyright-free reading materials that can be read in Japanese at the beginner and intermediate levels. There are many reading materials introducing cultures of various countries, not just Japan. Choose something that looks interesting to you at your level, and start reading from there. After reading a work, you can sent a message with your impressions and requests. 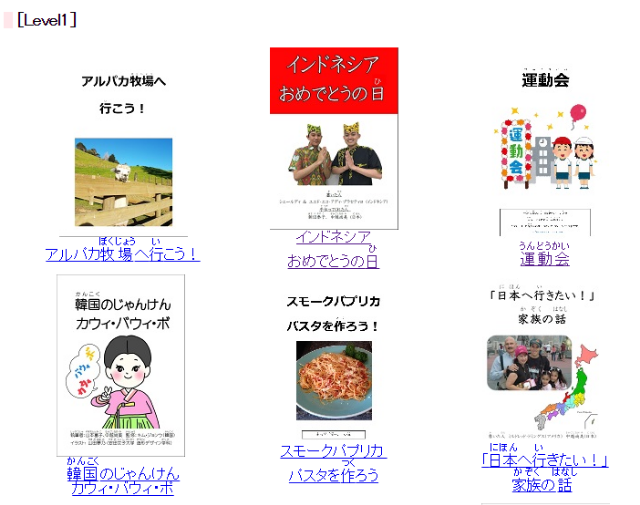 This site introduces Japanese books that are rewritten so they can be read at your ability. The reading materials come in all sorts of and topics from classical stories and fairy tales with illustrations, to books about nature and cooking, with photos. You're sure to find something to suit your level and interest. Being able to read a book to the end should certainly be satisfying. If you come across a word or kanji that you don't know, just guess and keep reading. As you continue to enjoy reading lots of books, you might actually feel your Japanese improving. Okay, now, it's time to get reading!